Halloween is almost here and one of the fun things is watching other people dress up as their favorite characters. I have not been actively involved in any trick or treat event for the longest time since it has always been a work day. 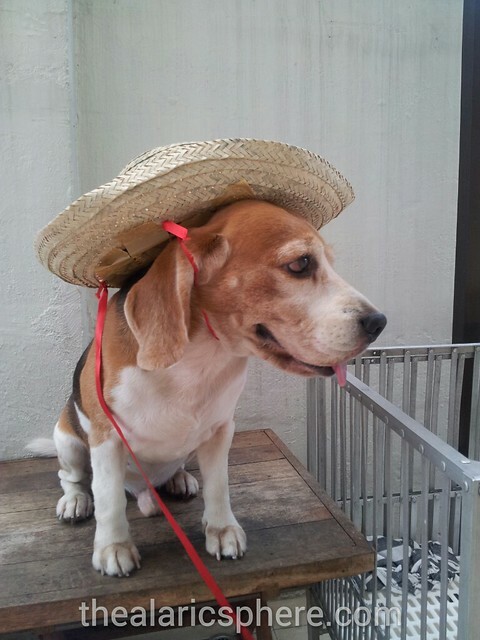 But for this year, I decided to take some time to dress up my Beagle so that he could join the trick or treat festivities. For this purpose I chose one of my favorite characters from the anime One Piece – Tony Tony Chopper! In the anime, Tony Tony Chopper is a reindeer who ate the human devil fruit which enabled him to turn into a human. He’s a cutesy character voiced by the lady who did Pikachu. Being a human, he was raised and taken care of by a doctor so naturally he learned how to practice medicine. Eventually he became a really good one. I gave this background so you can understand why he has certain accessories. So I decided to make my own costume so it’s more personalized. 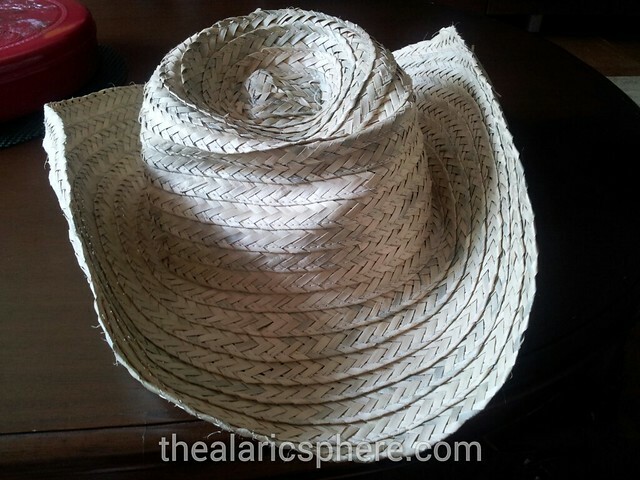 I started out by getting a straw hat that I got back when I went to Balai, Isabela last year. 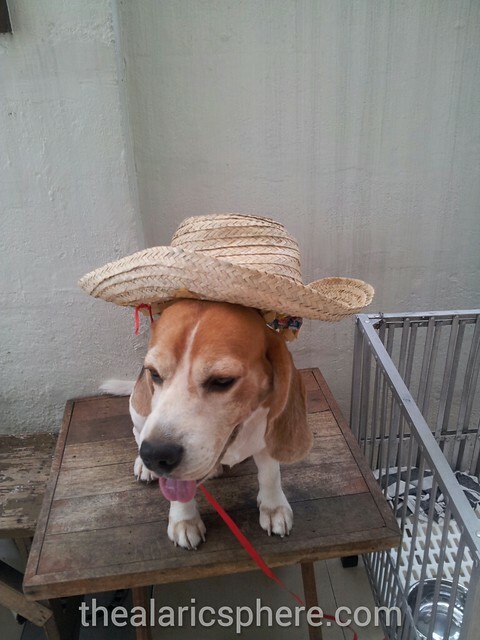 The next thing I had to do was try to figure out how to secure the hat on top of my beagle’s head. He is not used to things being put on him like clothes so he might be a bit rowdy when he gets this on. 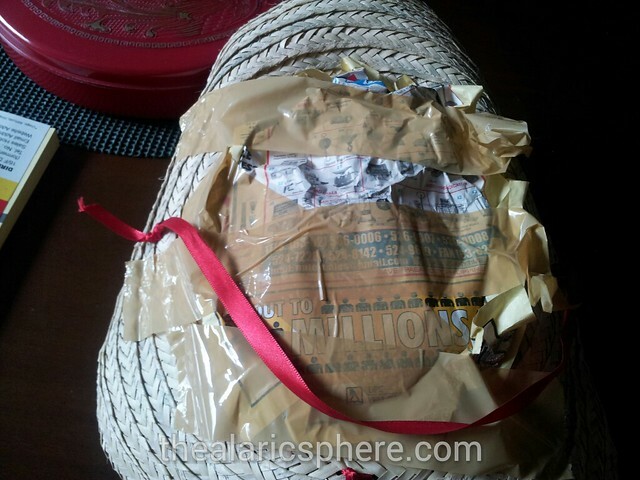 So I used some ribbon that we had left over from Red Ribbon bakery. Here, I tried to find the optimal areas where to secure the rope and how to tie it to him so it doesn’t fall off. I also tried it to make sure that the hat wasn’t too big. Gladly it wasn’t because I didn’t have any alternatives at the time. Next, I figured that I couldn’t “wear” the hat on him but instead, I can just put it on top of his head. So I had to fill in the insides of the hat with something. 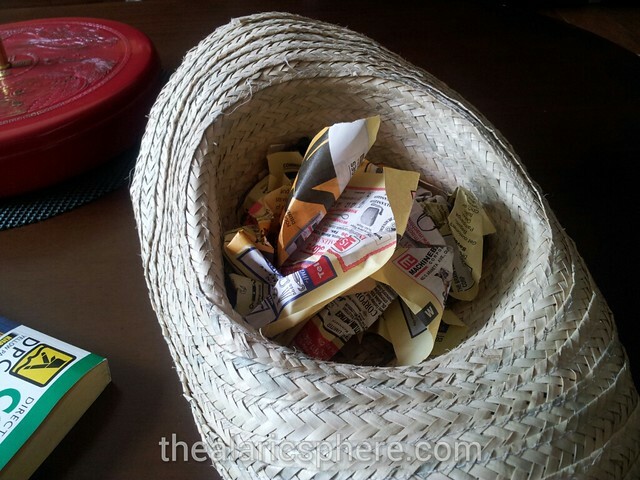 In this case I used paper from old yellow pages phone books. I eventually filled it all up and secured it with some masking tape. The result was that it held the paper in, but the tape soon lost its hold as I moved it around more. I put the lace strings back on and tried it on him and it was a lot better than earlier since his eyes don’t get covered up by the hat. Something had to be done for the masking tape though. 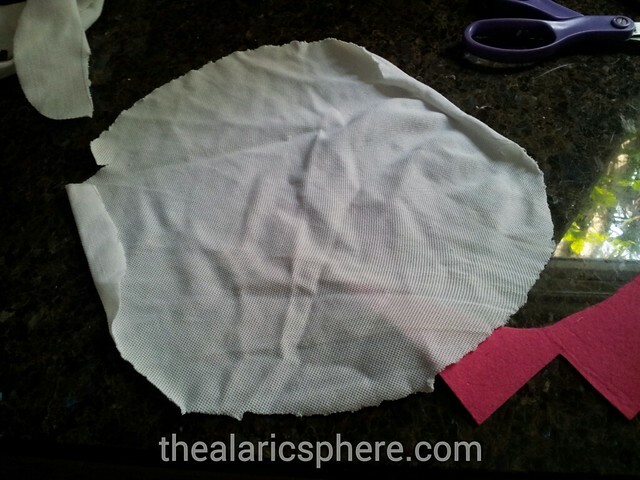 I cut a circular shape from some old swatches that were not being used any more. I asked for some help from my sister to do some stitching work since I do not have the capability to do that. 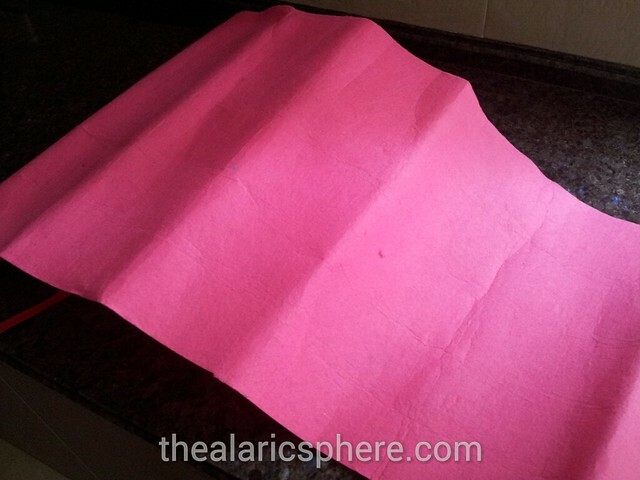 Next I got some felt paper from my sister who had some lying around since she was also preparing a costume for her daughter. 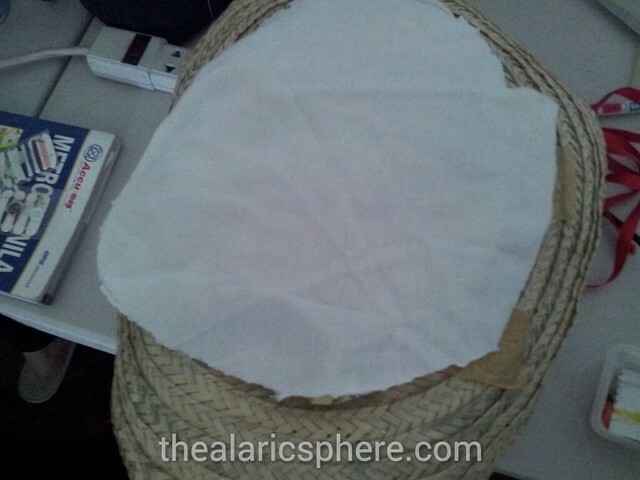 I cut a long strip to serve as the wall of the hat then another circular one to serve as the top part. Then with the magic of some glue gun action, I was able to put them together. I got to this point then realized that the event was about to start in less than an hour. 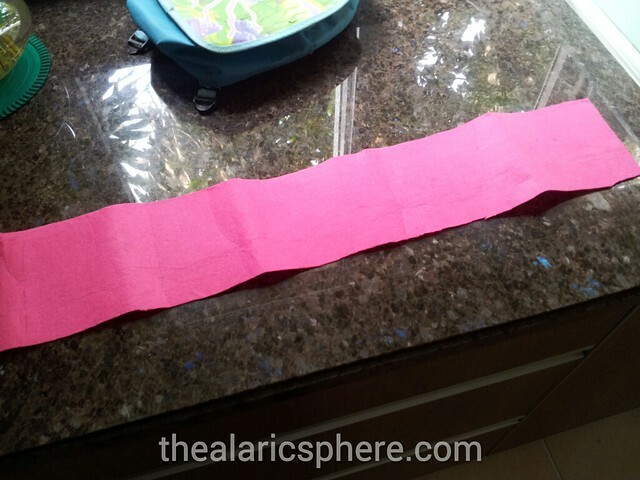 So I just cut up what was left of the felt paper and put the best part in front and all the leftovers at the back. 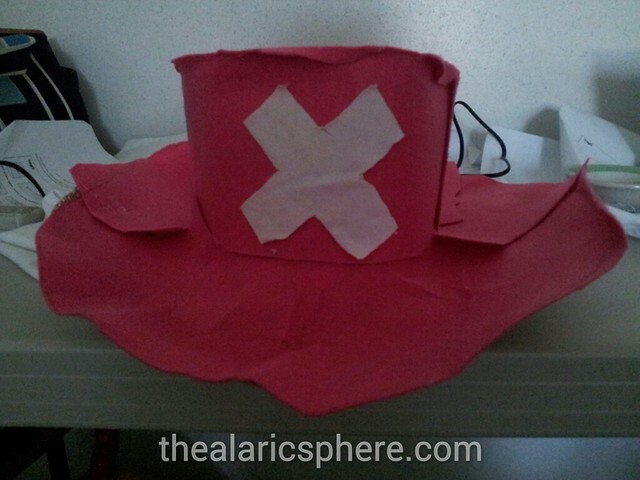 You’ll notice that the back portion of the hat is now made up of small pieces I just glued together. I then took some more of the swatches to cut an “X” symbol for the logo. For the straps, I went to look for some old garter that wasn’t being used any more then cut them and put them in the areas where the string was earlier. Again, I asked for some help to stitch them on the hat. For the bag where Tony Chopper puts his medicines, I used an old children’s bag and just put it on backwards since the other side had a spongebob picture on it. 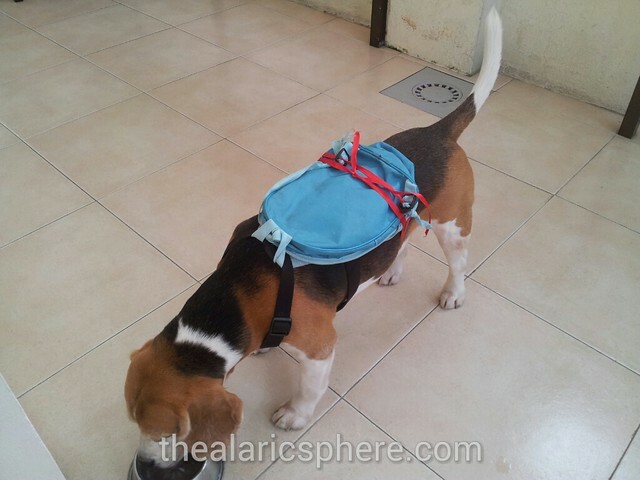 Then I secured it on his harness and also with some more rope. 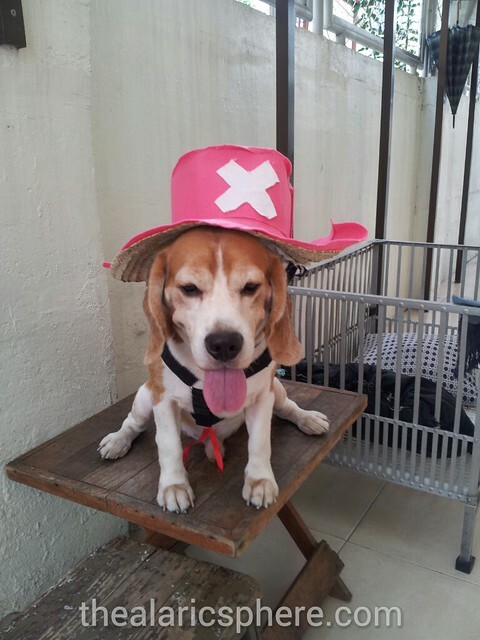 So here is my beagle, Kimono dressed up as Tony Tony Chopper. All good and ready to go. And here’s another pictures of us while we were out and about. Overall I had a great time prepping for the trick or treat event. 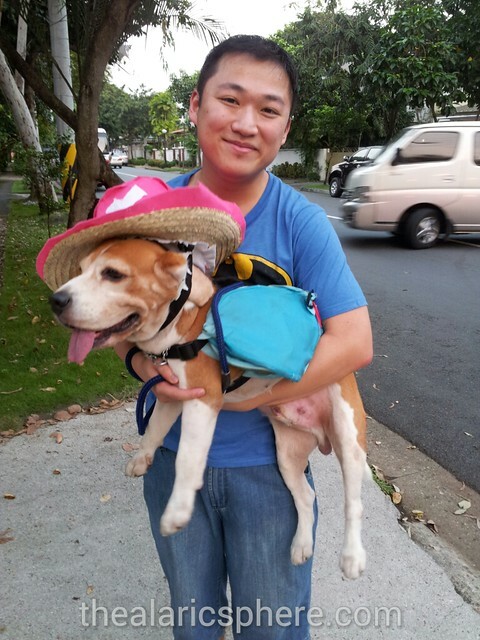 Kimono also had a great time because he got to see a lot of other kids and dogs. Since I only had a few hours to prepare this, I didn’t have time to make the reindeer antlers any more. 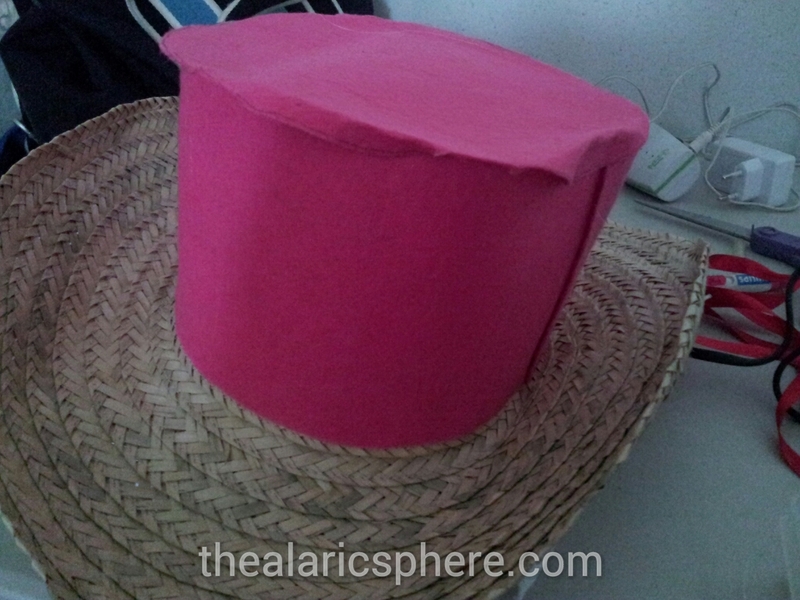 I also didn’t have enough time to make the hat even more sturdy. Total amount spent: practically nothing.